The location is better than it seems at first. Several supermarkets, a big shopping centre and McDonalds are in the nearest vicinity. The apartment is nice, well-equiped and well located. Good heating and wifi worked well. Расположение супер, планировка и ремонт хороший. Все светлое, в центре. В апартаментах есть все необходимое. Obsługa firmy P&O i podejście do klienta. Mieszkanie nie spełniło moich oczekiwań, poprosiłam o zmianę mieszkania. Firma stanęła na wysokości zadania i zmiana odbyła się bez żadnych problemów. P&O Apartments Rondo Radosława has well-equipped accommodations featuring free WiFi in Warsaw, a 10-minute walk from Powazki Cemetery and one mile from POLIN Museum of the History of Polish Jews. The units come with hardwood floors and feature a fully equipped kitchen with an oven, a dining area, a flat-screen TV with satellite channels, and a private bathroom with shower and free toiletries. A fridge and stovetop are also offered, as well as an electric tea pot. Jewish Ghetto Memorial is 1.1 miles from the apartment, while New Town Square is 1.6 miles away. Warsaw Frederic Chopin Airport is 6 miles from the property. 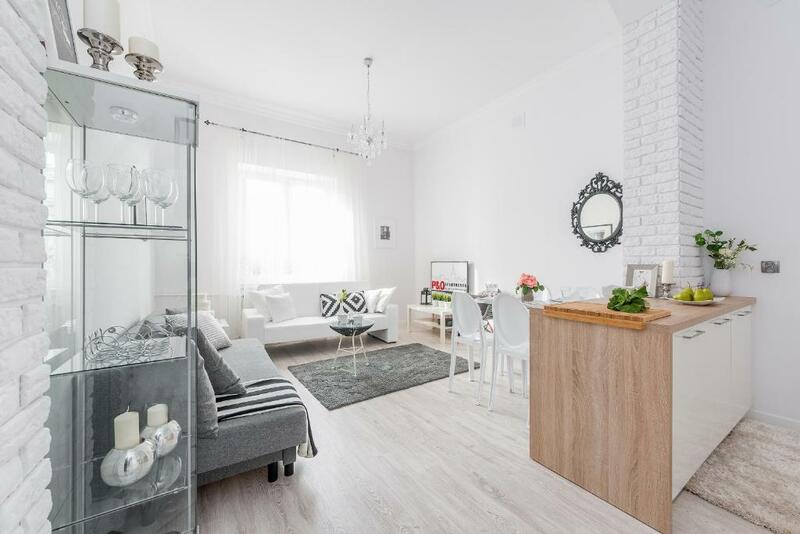 뀐 This property is in the real heart of Warsaw! 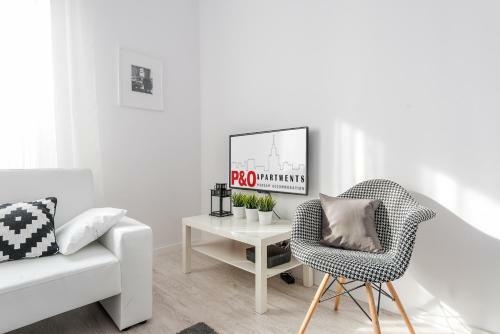 When would you like to stay at P&O Apartments Rondo Radosława? This apartment has a soundproofing, seating area and kitchenware. This apartment has a dishwasher, stovetop and private entrance. 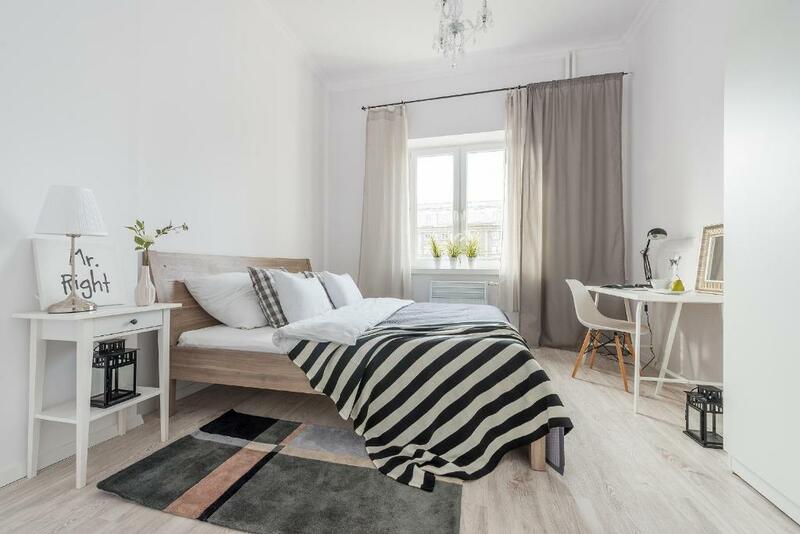 We have a variety of apartments for short term letting that are located in the Warsaw city center, from comfortable and cozy ones to luxurious apartments of the highest standard. Our selection offers a wide range of accommodation, from compact and comfortable standard (**) and standard plus (***) apartments to luxury (****) apartments of the highest quality. This allows us to offer accommodation that best suits your needs and your budget for each trip. Our aim is to make you feel at home on your travels. We ensure that the apartments are safe and clean, meet European standards of comfort and amenity, and are completely ready for you on your arrival. Near the apartment you can find the ARKADIA shopping center. Within 10 min. walk there is Szczesliwicki Park offering a number of attractions including swimming pool and all year skiing hill with a lift. House Rules P&O Apartments Rondo Radosława takes special requests – add in the next step! P&amp;O Apartments Rondo Radosława accepts these cards and reserves the right to temporarily hold an amount prior to arrival. P&O Apartments Rondo Radosława accepts these cards and reserves the right to temporarily hold an amount prior to arrival. The property is strictly nonsmoking. Charges might be applied for breaking the ban. The property is located in a quiet residential area and is not suitable for late night parties. A damage deposit of PLN 500 is required on arrival. That's about 131.36USD. This will be collected by credit card. You should be reimbursed on check-out. Your deposit will be refunded in full by credit card, subject to an inspection of the property. Apart from mold on walls and numerous stains on white furniture (which are not that easy to remove) the apartment was not cleaned in general, the floor was dirty and sticky. And the dishwasher smelled. The place to collect the keys was far from where we were staying, and they didn't provide any type of transport. The shower didn't work, only the bath tap.